Jurgen Klopp was keen to maintain focus as Liverpool prepare to take on Bournemouth at Anfield, avoiding the distraction of the Champions League. The Reds sealed their place in the semi-finals of Europe’s top-tier tournament with a 5-1 aggregate win over Man City, and now take on AS Roma on April 24 and May 2. Though many supporters are rightly anticipating another historic run on the continent, Klopp is only interested in finishing in the top four of the Premier League for now. Speaking to reporters at Melwood on Friday, the manager insisted his side cannot take their eye off the ball. “Our whole life is qualifying for the Champions League,” he explained. “The games against Rome are about qualifying for the final, and all the other games are about qualifying for the Champions League next season. “We need to be focussed on Bournemouth, West Brom, Stoke, Chelsea then Brighton, 100 percent. 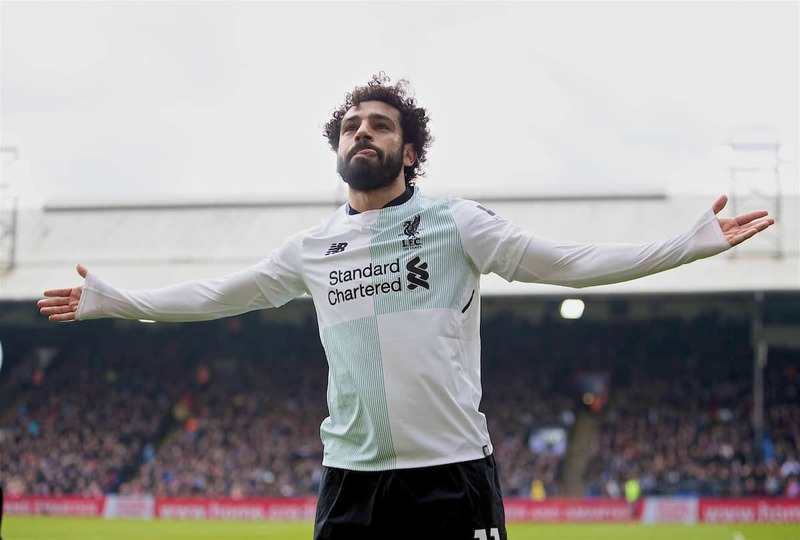 Klopp also discussed Mohamed Salah‘s Golden Boot battle with Harry Kane, as well as stressing that he has no concern over the Egyptian leaving the club this summer. He provided an update on the fitness of Emre Can and Adam Lallana, still hopeful they could feature before the end of the season.